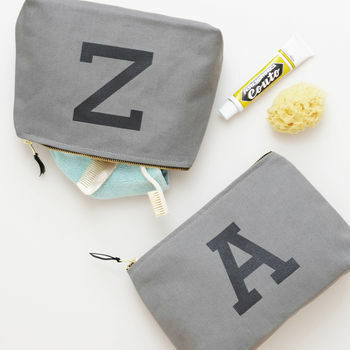 Grey initial wash bags from Alphabet Bags. 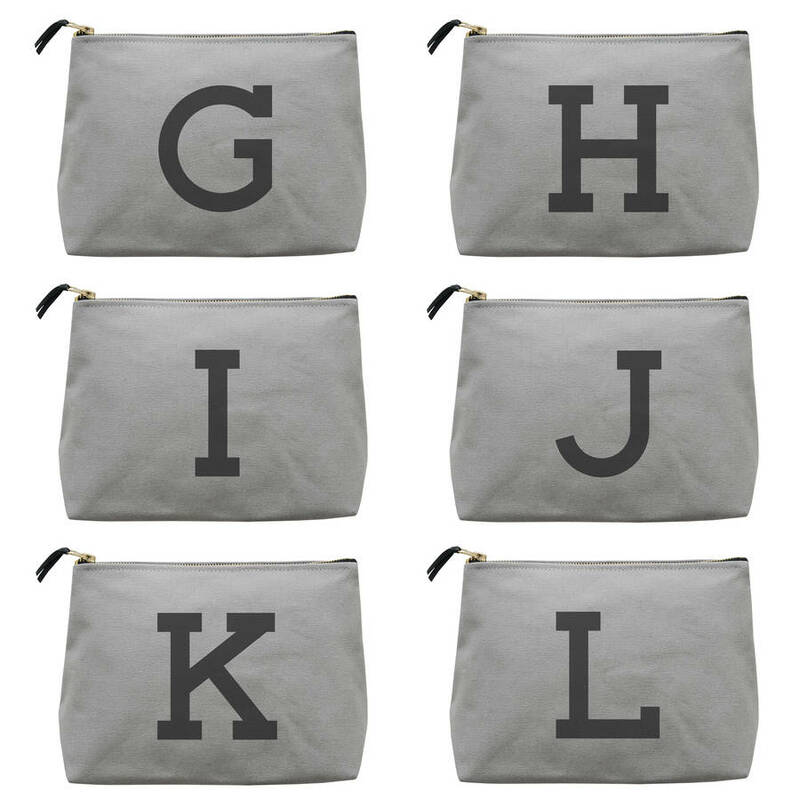 A super heavy canvas wash bag printed with your choice of initial. Our wash bags are perfect for storing your travel toiletries and bathroom essentials. 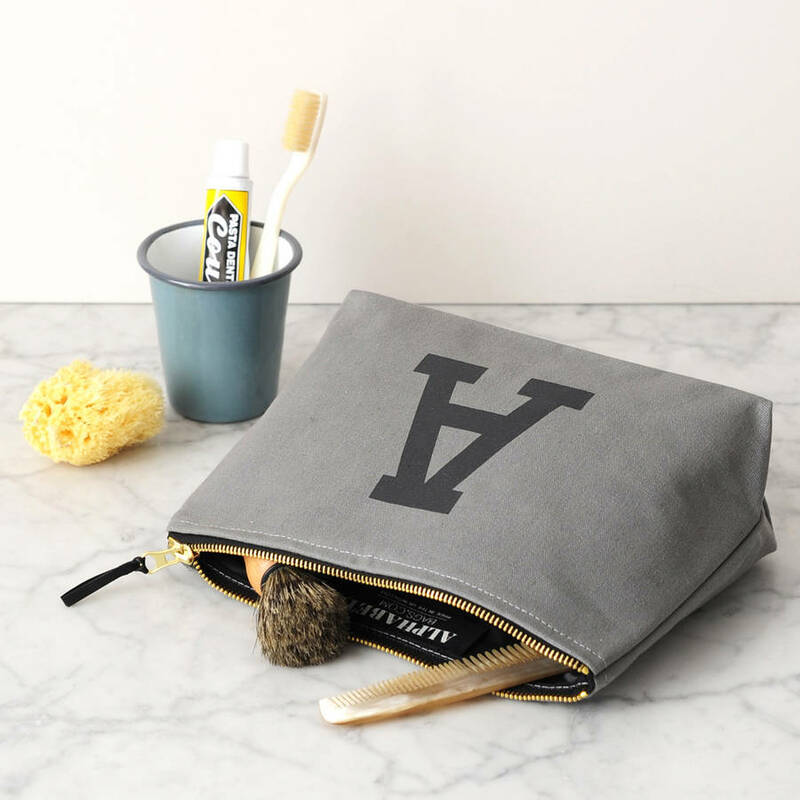 The handy size is perfect for travelling but also makes a great everyday wash bag. 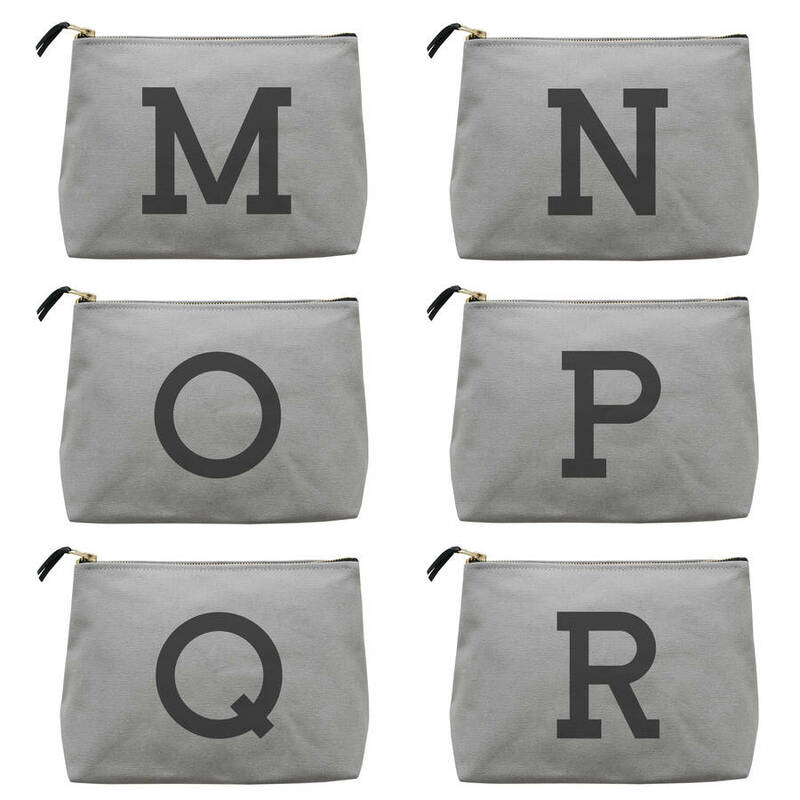 The initial is printed in charcoal grey on thick grey canvas. 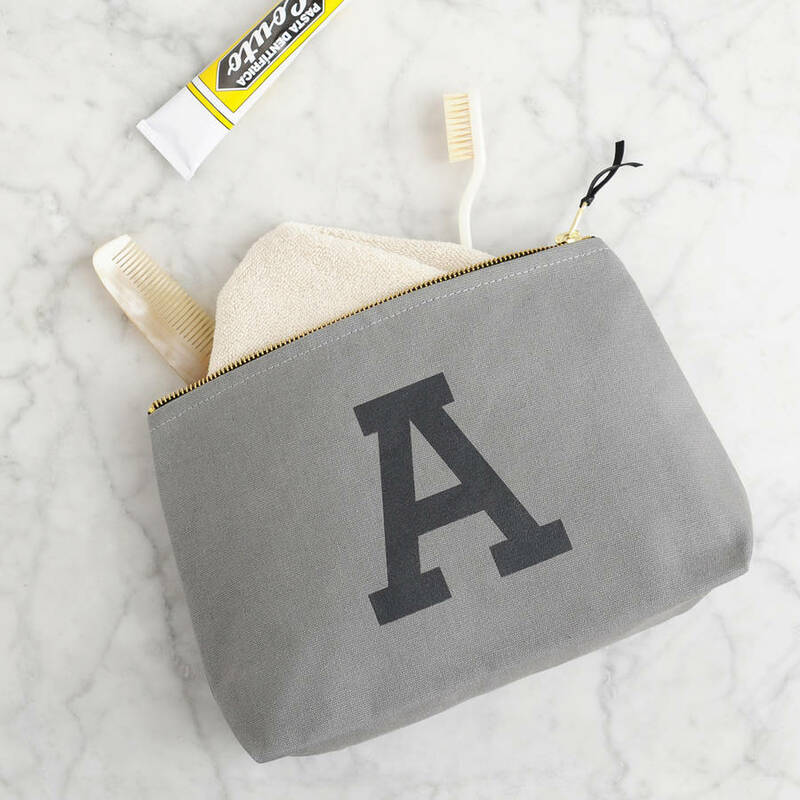 Inside there is a black waterproof lining which can be easily wiped clean. 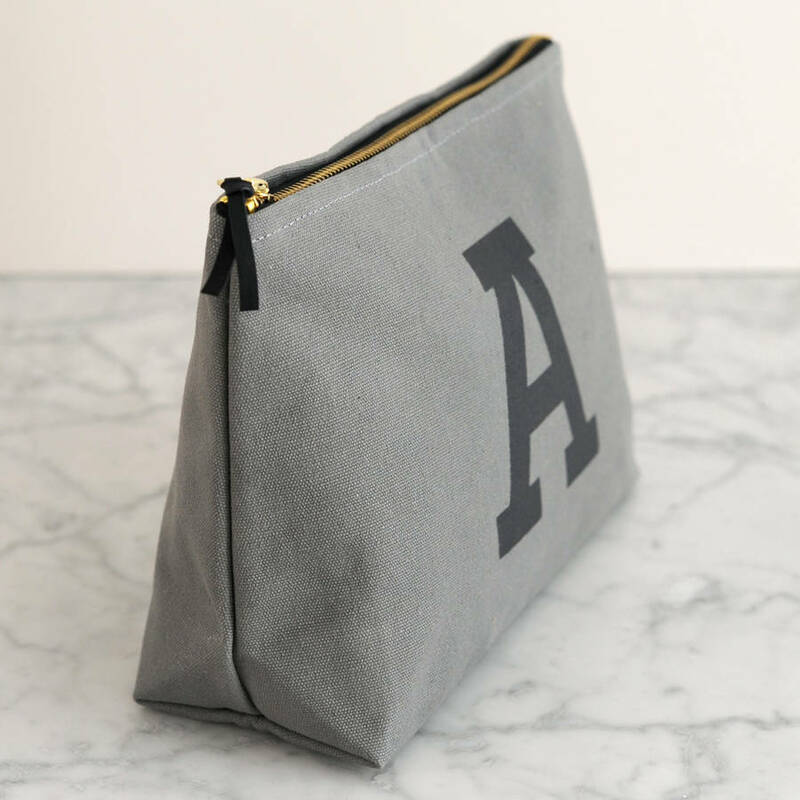 The sturdy canvas is complimented with a heavy duty gold metal zip, complete with a smart black leather zip pull. Made and printed in the UK. Hooray! 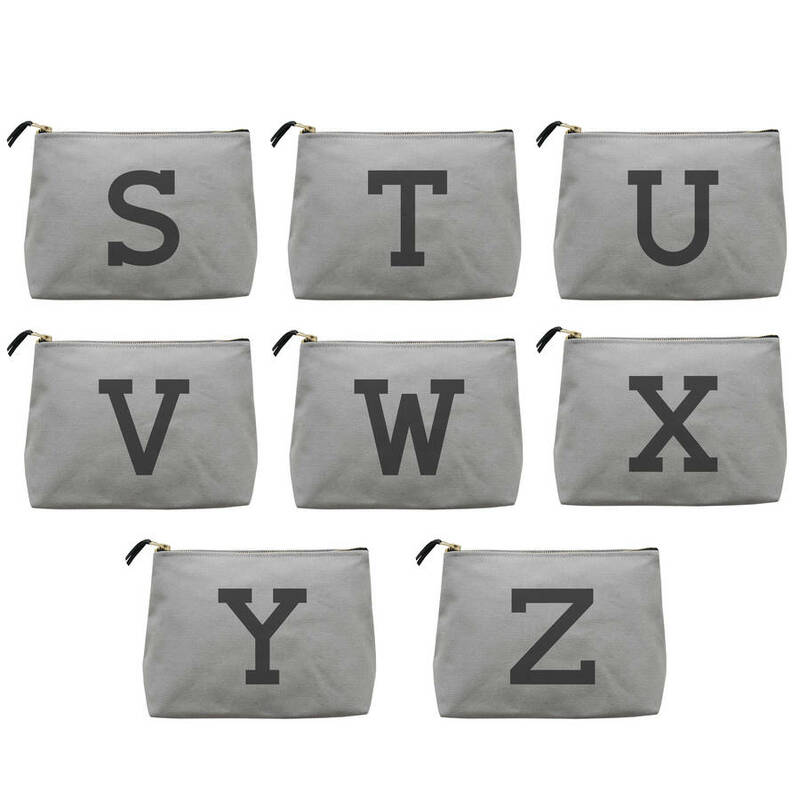 Available in every handsome letter from A to Z. Please scroll through the images to see your letter of choice. 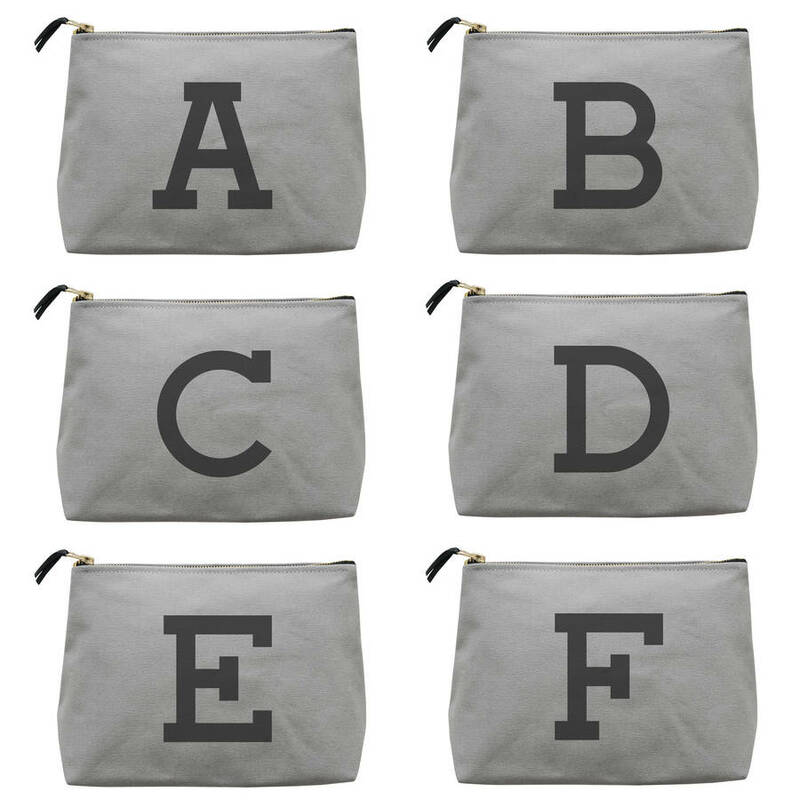 Made from sturdy grey canvas with a black waterproof lining, gold colour metal zip and leather zip pull.